There are clearly too many social networks, and if you belong to one you likely belong to many. Boston based (soon to be relocated to San Francisco) ProfileLinker’s aim is to help you stay organized across those networks. 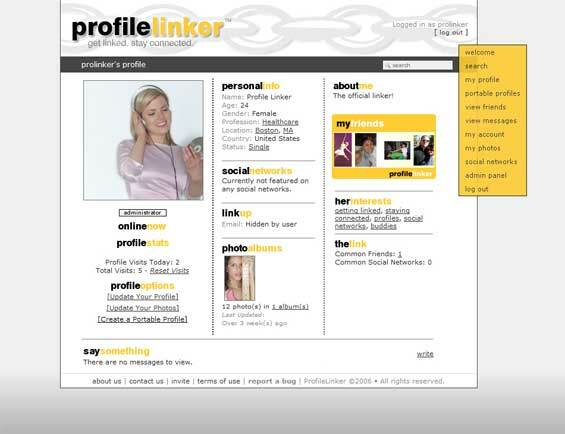 Like Meebo did with instant messaging, ProfileLinker wants to aggregate your social networking experience. The target user is someone with a profile on at least two networks – MySpace and Facebook, for example. You tell ProfileLinker your site credentials and it pulls your bio, friends and other information from those sites and centralizes it. You then use ProfileLinker to manage your activity on those networks: aggregate and manage multiple social profiles; discover new social networks and communities of interest within social networks; and receive notification of messages and friend requests from multiple networks. The company is also launching a number of widgets that will pull data from all of your social networks and allow you to present it on another website. The first widget will be a “portable profile” with links to your various networks. This differs from PeopleAggregator (our coverage), which has actually created software for customers to create their own social networks. 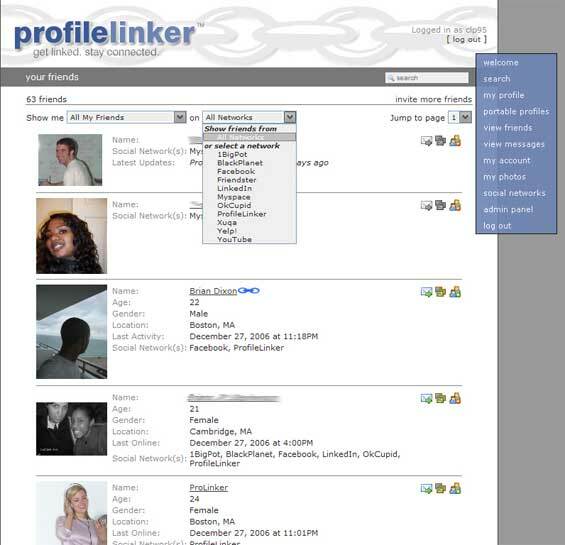 ProfileLinker is trying to aggregate your data from existing networks and make it more useful. To do this they’ll need to keep those networks happy, while taking some page views from them. They have one partnership sealed already, with Photobucket, and hope to do more. But for sites where they are unable to get a partnership they’ll have to gather information using the user’s credentials. There’s a risk that networks will simply cut them off. The company is currently closing an angel round of financing. They are in private beta – sign up on the home page for an invitation. Screen. shots of the current version are below.